We’re pleased to announce that Microsoft is now hosting jQuery UI on the Microsoft Ajax CDN. Microsoft is hosting uncompressed and compressed versions as well as all of our pre-built themes. For more information check out Stephen Walther’s announcement from Microsoft. 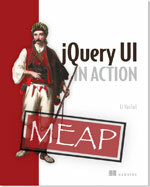 In this release, we’ve added jQuery.support.minHeight which detects whether the browser supports the minHeight style. You can now pass an object containing specific properties to set in the buttons option. See the 1.8.5 Upgrade Guide for a list of changes that may affect you when upgrading from 1.8.4. For full details on what’s included in this release see the 1.8.5 Changelog. Thanks to all who helped with this release, specifically: ahsan_cse2004, andreas, andreinjquery, AndrewNewcomb, awirick, AzaToth, Ben Hollis, BrianHV, bugbegone, cardmeister, chrismckee, Christopher McCulloh, Dave Methvin, d3r1v3d, dazzx, dreamershl, duckumu, ehynds, galo2099, iangrainger, jdalton, jlesueur, joern.zaefferer, jogep, jokerx, juergen.furrer, Karl Swedberg, keturn, klaus.hartl, malsup, NotionCommotion, Paul Irish, pdevemy, ph.ausseil, pjk, rdworth, robertstrait, Robson Braga Araujo, Scott González, spudly, srycroft, steida, Tony Ross, vjt, ya_diman. 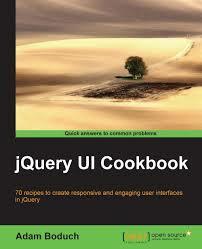 If you have feedback on us doing our fifth maintenance release for jQuery UI 1.8, feel free to leave a comment below. Thank you.